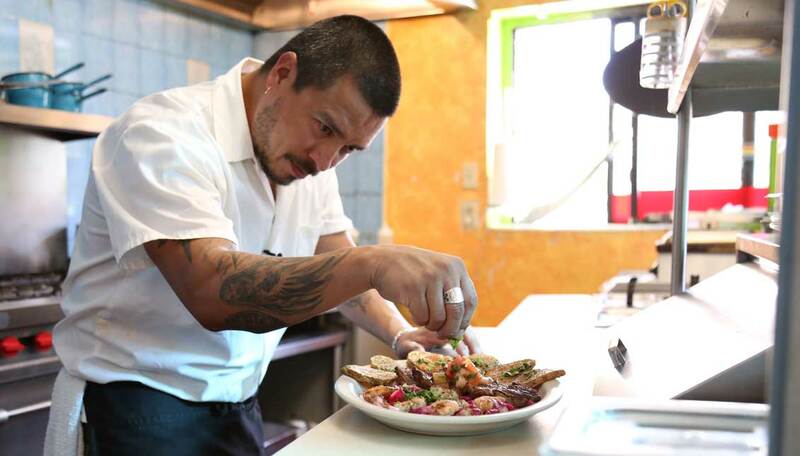 Nestled on the corner of Fairmount and 6th Avenue in Philly’s trendy neighborhood of Northern Liberties, Guatemalan chef Charles Alvarez is serving up some of the city’s most innovative Latin Fusion cuisine. Pura Vida’s history all started 11 years ago when Alvarez saw an opportunity after starting as opening chef at Tex-Mex restaurants El Fuego and Jose’s Tacos also in Northern Liberties. With his own place, Alvarez wanted to cater to a wide variety of customers while still keeping a rustic look emblematic of Guatemalan comedores, small mom and pop restaurants. The laid back atmosphere can be seen in the restaurant’s colorful Instagram page (@puravidaphilly) where customers young and old are seen celebrating everything from birthdays to Cinco de Mayo while eating their tasty plates and drinking Mexican beers. You can see the freshness of the ingredients in the radiant images of the avocados, peppers and pico de gallo sauce. Among the restaurant’s featured entrées is the Plato Gaucho, which is either a grilled chicken or steak plate served alongside tequila shrimp with Argentinean chimichurry sauce, roasted potatoes and salad. Tasty appetizers include the restaurant’s namesake dish, Pura Vida - a grilled zucchini, squash and fried cheese plate with creamy curry sauce as well as the restaurant’s historic bestseller, the Ginger Chicken soup. The restaurant also offers its own homemade beverages, such as margaritas, mojitos and other mixes. The Rosa de Jamaica is a particularly tasty treat. Just remember to bring your own liquor if you want an alcoholic beverage. They will mix it right in for you. 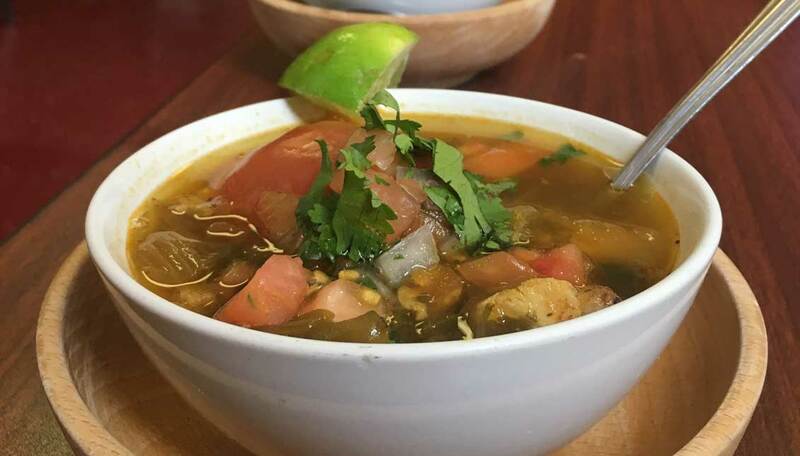 Pura Vida’s scrumptious menu has not needed to change too much over the years, but Alvarez is always looking to keep his menu up to date testing out new dishes with his customers. One such dish is the Soy Chorizo, which started out as an appetizer, but due to its success is now featured on a variety of plates. “We get a lot of vegetarians, vegans. They really like the Soy Chorizo,” explained Alvarez. Also popular is the side dish Curtido, a pickled vegetable concoction, which Alvarez has added to multiple dishes as well. Alvarez has an eclectic background having worked in both food courts and fancy restaurants making specialties from a variety of countries such as Guatemala, France, Argentina and America. Then the first food courts in Guatemala, called “multirestaurantes”, opened in the early 80s giving him an opportunity to make a variety of cuisines in one place. Drawn to Philadelphia by family living in the city in the mid 80s, Alvarez got his start here at a French restaurant where he learned to cook for a wide audience. His training in Philadelphia also came from working at the Middle Eastern restaurant, La boheme and the original Dockstreet brewpub. Pura Vida’s Guatemalan touch starts with the Guatemalan tamale, which is cooked using a special formula. “Unlike Mexican tamales cooked in a cornhusk, the Guatemalan tamale is wrapped in banana leaf, but we cook the dough before and then wrap it and steam it again to get more flavor and the tamale gets a little more fluffy. It’s not too dense,” explained Alvarez. There’s also the classic Guatemalan treat Ilachitas, a shredded beef dish. Similar to a pork brisket, the Ilachitas are slow cooked but with cinnamon. But don’t be fooled, Pura Vida is known for its variety. “The restaurant is Latin fusion so there’s a little bit of everything. Caribbean, Mexican, Central American, South American,” said Alvarez. If you are looking for a tasty Pan-Latin meal, Pura Vida is a good bet.